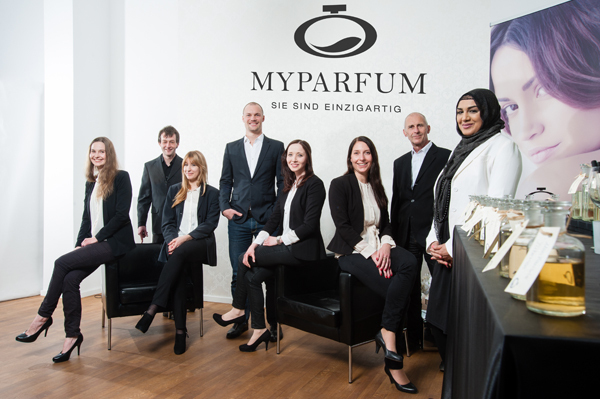 The team of MyParfum is really looking forward to the equity-based crowdfunding campaign with you! Also, we are looking forward to receiving your ideas and your feedback. First of all, however, we would like to introduce ourselves to you. Our maxim is "You are unique!" People have been using perfumes to emphasize their personality for several millennia – but why should we all have similar or equal scents then? MyParfum takes account of the fact that all people are unique. Whether they shop online or in stores, we enable customers to create their individual fragrance, which is then put into an individually labeled flacon. Each of these fragrances is unique, is stored in our database, and may be reordered at any time. MyParfum was founded in 2008. We thus have six years of experience, passion, creativity, and contacts with fashion designers and perfume store chains. We have developed 50 premium scents ranging from oriental Ambergris to Sicilian lemon ourselves. The MyParfum scent system, our modular system for creating individual perfumes, was developed together with renowned perfumers, is globally unique, and has 150 billions of possible combinations of the scents. As many as 88,000 customers already trust MyParfum and, most importantly, their own nose. Since our launch, we have sold 132,000 perfumes – all of them unique! – and generated total revenues of EUR 3.5m. By means of 1,500 press reports and TV campaigns with million-euro budgets, we have been able to create a famous brand with a media equivalency value (i.e., the value of our press articles/campaigns translated to advertisements) of EUR 10-20m. 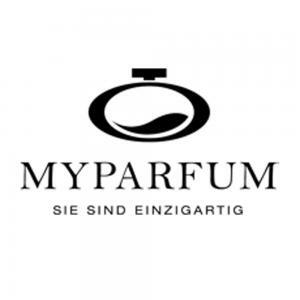 Online Shop: At www.myparfum.de, our customers create their own perfumes (and may use our assistance if they choose to). Moreover, our system will be integrated into the websites of our partner stores in the future. Offline Sales: We have already opened a flagship store, which will be supplemented by additional stores in select fashion metropolises over the next few years. The additional value of our concept is also obvious to perfume store chains, so they will enable us to establish ourselves in stationary retail. Our additional offer is highly attractive to retailers. Corporate Customers: In the corporate customer segment, we are focusing on long-term partnerships with large order volumes (from 50 to several 10,000 items). We thus enable fashion labels, celebrities, resellers, and large companies to develop their own line of fragrances. J. Lo, David Beckham, and Rihanna have their own fragrances – thanks to MyParfum, everyone may now feel like a star.